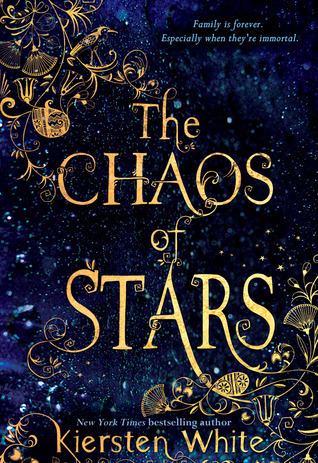 The Chaos of Stars might sound like the usual mythology book, except it is egyptian mythology but is such an easy, breezy read with a great contemporary feel. I personally couldn't put it down and ended up finishing it very quickly. Usually in novels, I don't enjoy the various types of intros in the beginning of each chapter, whether it is a snippet of a poem, a quote, a flashback, or a short story within the actual story. However in The Chaos of Stars, the little intros introduce us and give us background information on all the egyptian gods. I personally never knew much about egyptian mythology, other than knowing who Isis is. However, The Chaos of Stars narrates little stories in such a fun way, through the voice of the main protagonist, Isadora, and you can't help but retain this information. When I went to The Metropolitan Museum of Arts in New York this August, I went into the Egyptian section and it was such a fun experience since I knew about all the gods that were mentioned which were on the cards accompanying the artifacts and art pieces there. Going back to the novel, I think Isadora is a very unique female protagonist. She does have her insecurities with her family, since she is the offspring of two gods who have a child every 20 years just to keep the praying and glorification to them going. But other than that, I felt she was a very mature and independent girl. She never really had insecurities with her looks, guys, or 'finding herself'. After introductions for the novel, Isadora moves to California where she starts working at a museum as well as make friends and meet an intriguing boy *oh la la*. Yes, there is the egyptian mythology but it isn't suffocatingly only revolving around that. I personally loved all the characters. They were laid back, and the plot itself was great and I definitely recommend it to all YA readers. I really want to read this! I love stories with unique characters. I really want to read Mind Games and Paranormalcy as well. Uuggh, one day! Awesome review! I agree with the easy somewhat contemporary feeling. I loved the Egyptian mythology and Isadora's voice. Great review :D! I'm glad to see you liked it so much, because I'm really excited for its release. Absolutely love Egyptian mythology. Great review! Isadora sounds really likeable - I've only read Paranormalcy and Supernaturally from White - maybe I'll get this to see if I like it. Great review, Juhina! I'm in the middle of this one. If it was not for the flashbacks sounding so modern I would I think I would really be head over heels in love with it. Looking forward to this one. I hope the hype machine will be right. Great review, Juhina. Ooh, I love that it gives you information on the Egyptian Gods! I don't know much about them either, so I'm quite excited about that part! Isadora sounds like a very likable character. I'm quite excited to see how being the child of two gods affects her life. It's bound to be weird. I LOVED this one– I'm so glad you did too! There were so many negative reviews but I thought this one was actually really good :) Great review! I think the Egyptian mythology sounds completely fascinating. Wonderful review. Thanks for the great review, I've read one other review on this book and that one was negative so thanks for sharing a good review! Too bad it doesn't revolve around the Egyptian mythology though, I loved it too. Interesting that you don't like little blurbs at the beginning of every chapter-- if done right, they're not too bad! Anyway, great review, and I'll definitely pick this up!